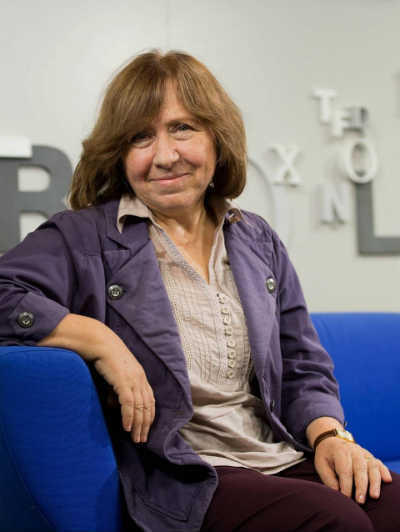 1) Will the Nobel Prize motivate Svetlana Alexievich to write more such "monumental" novels in the future? Jupiter will be transiting over her Mars, aspecting her Jupiter in Sagittarius, it will also be aspecting her Rahu in Aries sign in her Solar chart. Saturn will be aspecting her Sun in Taurus, it will also be aspecting her Mars in Leo sign. Rahu will be transiting over her Mars post January, 2016. Ganesha feels that there are bright chances of her working on a new book with innovative ideas concerning human endurance, struggle, pain, etc. She will be able to put her ideas on paper before 11th August, 2016. However, the book may reach the public only after its publication post 5th November, 2019, the time when Jupiter will be transiting through Sagittarius through her Solar Chart. Ganesha wishes a great time ahead to Svetlana Alexievich.